This week on the show, all the way from Brighton, England, I am pleased to welcome Russ Yallop in for the guest mix. Russ Yallop first got his start on Damian Lazarus’ highly esteemed Crosstown Rebels imprint back in 2010. For nearly a decade since, Yallop has been churning out top notch productions via prominent labels such as Hot Creations, VIVa Music & Knee Deep in Sound. Drawing from his upbringing and a love of Breaks, Russ Yallop’s production style continues to add a fresh take in the house scene. 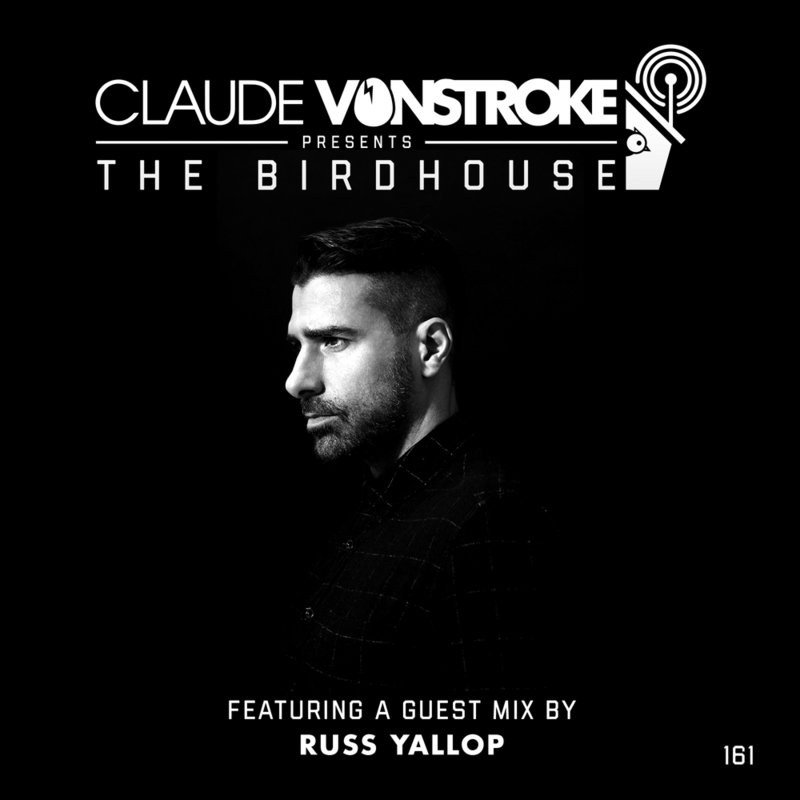 Check out Russ' Yallop’s guest mix below and read on for his BIRDHOUSE questionnaire. When Damian Lazarus said “yep, we’ll sign this.” After my first EP dropped everything just took off. I’m from Brighton in the UK, and I would say on my early stuff for sure as everyone in Brighton listens to breakbeat based beats as opposed to four-four so I had a memory bank of samples that were yet to be used in the house fold. Actually it never occurred to me ever. Maybe it would have, if it had taken a few more years to be successful. My career as a promoter was just starting to tank as my career as producer took off. I’m gonna not say equipment but say whosampled.com. My early sound was samples, samples, samples, so I used to use that site to find all the original tracks to do my sample digs. When I first started, I would say mainly Jamie Jones, Lee Foss and Wolf & Lamb. I came in on the crest of a completely new sound and there was literally just a handful of producers on the same vibe it was crazy. Whenever I have a rough anything my medicine of choice is Chicken Vindaloo. Taken with beer. As mentioned previously, unpacking a takeaway bag. I sometimes weep with appreciation if it arrives early. I’m actually unbeatable at Connect Four. I’ve been known to ruin after parties with it. Club. I hate warm drinks with a passion. Exercise midweek. Netflix all other times.